I was admiring the Great Worm over at the Dragon Scales blog when I noticed this blurp at the bottom of the post, “Mini and Paints available at Miniature-Giant. Be sure to register with komoda as your ‘Referring Member’ for 5% off for you and me.” So, of course, I gave it a try. 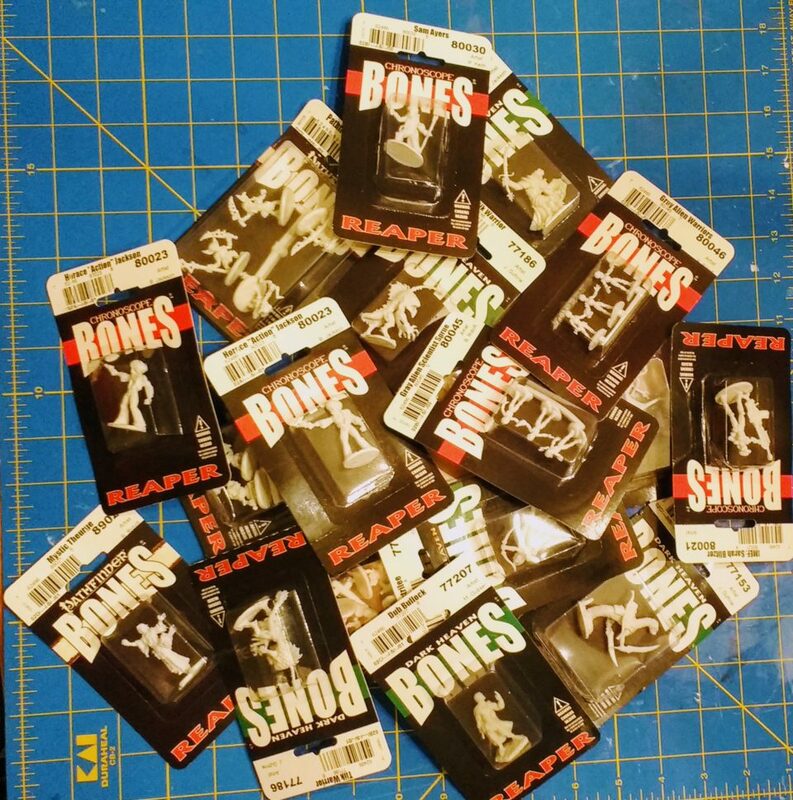 I have to say that the 5% off really isn’t worth it unless you’re buying wholesale levels of bulk…but Miniature Giant has some great deals on Miniatures including Reaper Bones. This is a pile of thirty one miniatures that I got for about a dollar a piece. That’s not quite Asmodee Black Friday or Reaper Bones Kickstarter levels of savings, but it’s still very good. I got some repeats of miniatures that I’ve already painted, either to modify or to try painting again once I’ve improved a bit, as well as some new miniatures including ones that I missed out on in Reaper’s Second Bones Kickstarter. They also shipped very promptly. Speaking of shipping, apparently they run a Bed and Breakfast in Virginia…if I stayed there I wonder if they’d let me buy directly?